So here is something a bit different for the reviews. We have used wax melts in the past and we like the variety of scents that are available. Just like the beard care products that I mainly review, there has been a surge in the small batch and handmade wax melts available and personally I like to support the small brands. Also you get to connect with a person, someone who enjoys what they do and takes great pride in their products and also the customer service is unbeatable from the small brands. I was sent a variety of the wax melts to try and before I had a chance to think, my eldest daughter stole the Clean Cotton scented melt! We used the wax warmer that was sent with the melts and I started with the Cool Breeze scent. It took about 10 to 12 minutes for the wax melt to fully melt but it gives off a scent within a few minutes and the scent is at the perfect level of scent. It doesn’t overpower the room and it isn’t too subtle. The 1oz wax melts will give up to 12 hours of scent. My daughter said the Clean Cotton was perfect for the bedroom as it wasn’t too strong. I loved the Fresh Cut Grass, it was a burst of scent and was just like grabbing a handful of cut grass straight out of the lawnmower box. My daughter described the Africa scent as being sat at a bus stop with a load of 16 year old boys who were all wearing Lynx. And there are a variety of scents in each category! The Wax Melts come in a 1oz plastic pot and on the rear of the pot is all the warnings and advice for the product which is nice to see, it means that you are buying from someone who has researched this business and is following all the guidelines. 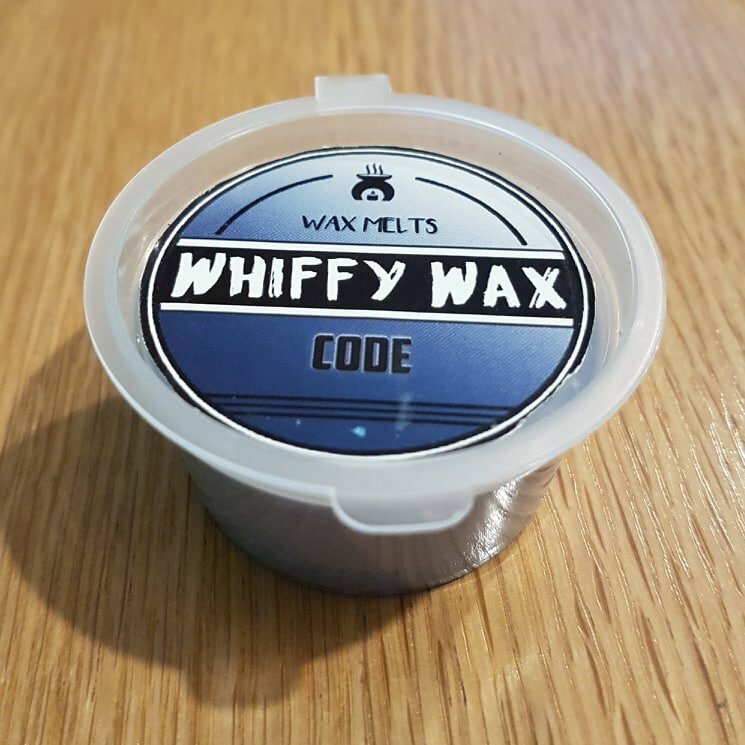 We think the melts are great value and the scents are spot on and we will certainly be purchasing from Whiffy Wax and especially as gifts for family and friends. The 1oz Whiffy Wax Wax Melts cost £1.20 from the website and are made using the highest quality soy wax.